Most indigenous communities in Sylhet Division are home to several orphans, who have lost their immediate family and need support. There are also many young children from families who cannot afford to send them to school. ECDO runs a program, which offers individuals an opportunity to sponsor one of these children to support them in completing their formal education. We are primarily focused on achieving a 100 per cent enrollment rate and completion of primary education amongst all indigenous children, and would like to extend our efforts to include secondary school. Our sponsorship program, therefore, seeks financial support for children to receive education through completion of secondary school, at which point they will have completed their formal education, and will be well equipped to pursue higher education independent from our support. The cost of sponsoring a child depends on their location. For those children who live in remote communities, it is 3,000 BDT per month (36,000 BDT per year). For children who live nearer to main cities, it is 4,000 BDT per month (48,000 BDT per year). Click here to convert into your preferred currency. The money is used to cover annual tuition fees, and provide uniforms and required text books. Sponsors also have the option of paying in monthly or annual installments. 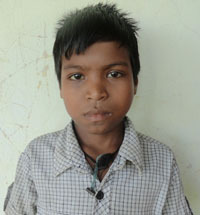 Children in need of sponsorship are featured below, offering their own personal story behind their situation. 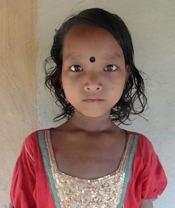 If you would like to sponsor a child, please contact us.